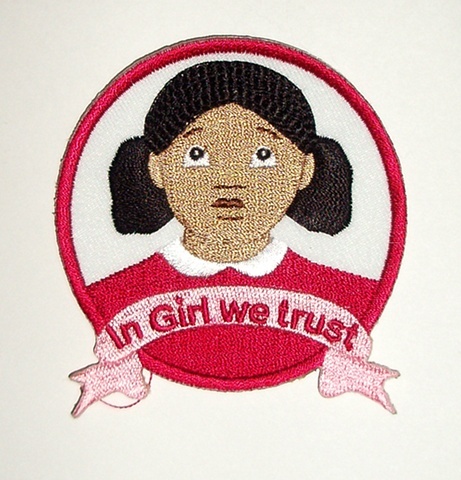 Badges or patches, sewn onto clothing, sashes, and uniforms, are often used as markers of allegiance, belonging, or accomplishment. 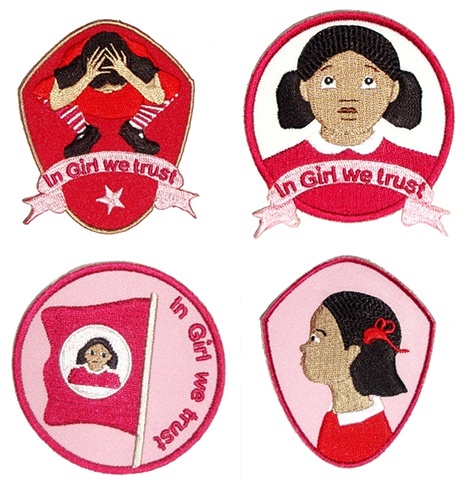 This series of Girl badges, worn by her Girl followers, are reflective of Girl's status in her world as leader. 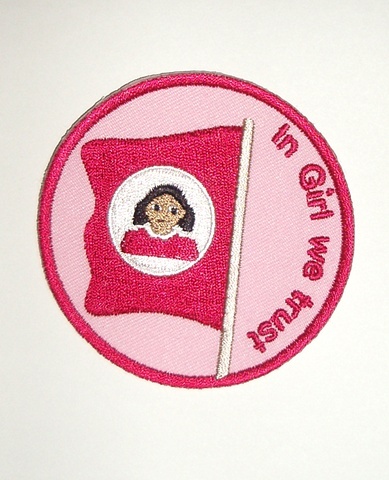 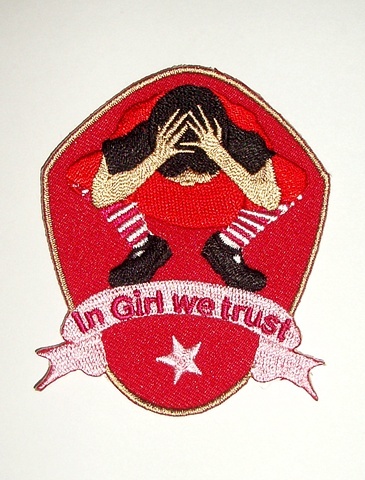 All Girl badges are machine-embroidered on fabric, and can be sewn on to any fabric clothing or accessory. 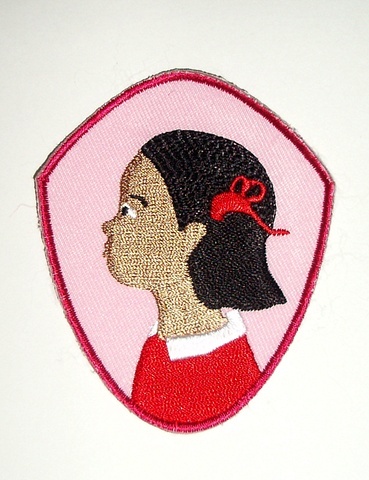 Each has been made in a limited edition of 50, comes with a signed and numbered card.